Zensar showcased industry-specific custom solutions built on Salesforce at booth #G1. The Zensar team at the Salesforce Basecamp 2018, Cape Town, SA. Zensar, a leading digital solutions and technology services company that specialises in partnering with global organisations across industries on their digital transformation journeys, announced the launch of its three-in-one insurance module in South Africa. It is a custom data module designed for the insurance industry, developed leveraging Salesforce Community Cloud. The module enables a single, centralised three-in-one view across consumer, agent and employee data. 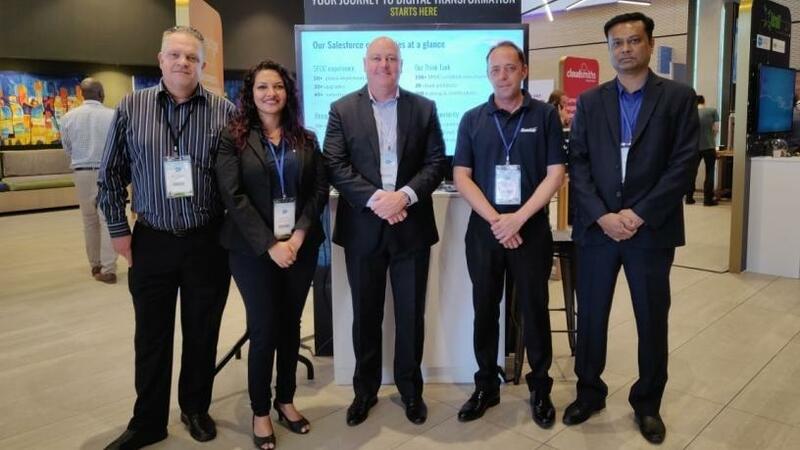 Zensar showcased the solutions at Salesforce Basecamp Cape Town at booth #G1 on 25 October 2018 at the Century City Conference Centre, in Cape Town, SA. Sandeep Kishore, Chief Executive Officer and Managing Director, Zensar, said: "We are happy to launch our newest solution leveraging the Salesforce platform at this event in South Africa. Our capabilities in the insurance sector includes Guidewire capabilities from our acquisition of Cynosure a Guidewire platform implementation service provider. We work closely with leading insurance players in the region and we are confident that they will find value in our digital solutions." According to Harish Lala, Senior Vice-President and Head, Africa, Zensar: "Zensar has established itself as a trusted partner in the financial services, retail and manufacturing sectors in the region, helping our clients in their transformation journey. These solutions will further enable our customers to have a seamless customer experience, engagement and retention." The portal provides the unique ability to digitally handle every aspect of insurance business needs across digitally onboarding customers, policy management, claims processing, single view of customer (SVC) data, as well as providing services through multiple channels. This solution is designed specifically for the retail industry and enables key metrics, including increasing NPS and revenue, customer retention, and assistance with cross- and up-sell programmes with the customer loyalty data model, which caters for best-of-breed in the retail industry. Guidewire Consulting and Integration Services: Zensar's recent acquisition of Cynosure enables its unique market position offering integration capabilities and consultants across both Guidewire and Salesforce platforms. Zensar is a leading digital solutions and technology services company that specialises in partnering with global organisations across industries on their digital transformation journeys. A technology partner of choice, backed by a strong track record of innovation, credible investment in digital solutions, and unwavering commitment to client success, Zensar's comprehensive range of digital and technology services and solutions enables its clients to achieve new thresholds of business performance. Zensar, with its experience in delivering excellence and superior client satisfaction through myriad technology solutions, is uniquely positioned to help its clients surpass challenges they face running their existing business most efficiently, helping in their legacy transformation, and planning for business expansion and growth through innovative and digital ways. RPG Enterprises, established in 1979, is one of India's fastest growing business groups with a turnover of Rs 23000 Cr. The group has diverse business interests in the areas of infrastructure, tyres, pharma, IT and specialty, as well as in emerging innovation-led technology businesses.